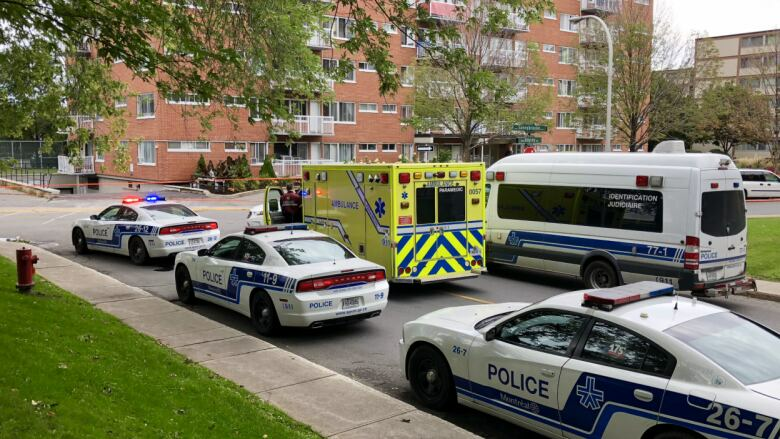 The altercation began in an apartment on Kingsley Road and then spilled outside of the building at around 5:30 a.m., said Montreal police spokesperson Const. Raphaël Bergeron. Montreal police are investigating after a Sunday morning dispute in a Côte Saint-Luc apartment ended in gunfire. "This is when gunshots were heard," said Bergeron. When police arrived on the scene, they located a man in his 20s with what appeared to be bullet injuries to the lower part of his body, the constable explained. The injuries were not life threatening. Another victim, a woman in her 20s, was also found near the scene, Bergeron said. She had not been shot, though she had unspecified injuries to her head that were also not life threatening. "We don't have much details concerning the event," he said. "We're going to see if the victims will cooperate with police." Investigators will be meeting with possible witnesses in an effort to determine who the suspects are and what the circumstances were behind the incident, he said.